Who doesn't love a bright yellow rubber duckie? My cousin's upstairs bathroom inspired this next project, and it's a great way to practice your Tunisian crochet skills. Supplies needed are only two: a ball of yellow crochet cotton such as Peaches 'n Cream or Sugar 'n Cream available at such stores as Walmart, Michael's, AC Moore and the like, and a size K-10 1/2 afghan hook available online at Herrschner's or Mary Maxim, or perhaps at your local yarn shop. Here's my dapper little yellow duckie all ready to give your face, or even your child, a nice scrubbie with all that fabulous texture created by the Tunisian Purl stitches which make up the duck design. Of course, the back of the cloth is all bumpy too because that's just the way the back of Tunisian crochet is! Perfect for a face cloth or a dish cloth, don't you think? 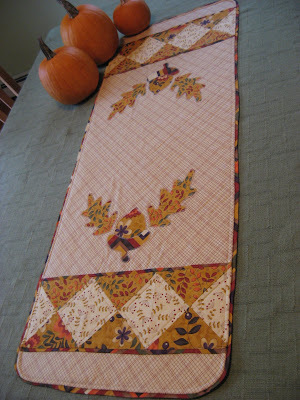 This finished cloth measures 9 1/2 inches wide by 10 inches long, which includes the border. When I finished the Tunisian crochet body of the cloth, I switched to a regular size K crochet hook and worked a single crochet border all around the cloth, then a simple decorative border of (skip a stitch, 3 single crochets in next stitch, skip a stitch, one single crochet in next stitch) all the way around. If you would like to make one for yourself, here is the chart which you can click on, then print. At the bottom of the chart, I have included the information for working the project. The beginning chain for this is 33. For each blank square of the chart, you work a Basic Tunisian Knit Stitch and for each X square on the chart, you work a Tunisian Purl Stitch. Remember that each row of Tunisian crochet is made up of the forward half of the row when you pick up all your stitches onto the hook, and the return half of the row where you work the stitches off the hook. To follow this chart, you would begin at the lower right corner and work 5 rows of Basic Tunisian Knit Stitch. Then you would start the next row by counting how many Knit Stitches you need to work before starting the Purl Stitches. In this case it would be 11 Knit Stitches. Then count the number of X squares, which is 8, and work 8 Purl Stitches, then finish the row with Knit stitches, and work the return half of the row as usual. Continue following the chart upwards and from right to left until you have completed the entire chart. Work your border however you like, and you are finished. I have designed some other patterns as well, and will be sharing them with you in the coming days and weeks. 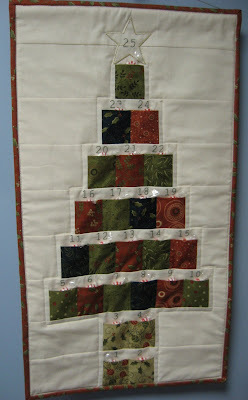 If you make something from this pattern, please send me a picture. I would love to see it, and maybe share it with my readers! Mary Grace...that is an adorable pattern...ok....I've got too many things on the needles...LOL! I'll let you know when I make this....thanks so much for the cute pattern...I'm excited to put to use all those new stitches that you've taught us! Absolutely adorable!! I will have to make one of these as soon as I finish some of my other projects. I'm loving the tunisian crochet!